Are you struggling to lose weight? Or are you trying to maintain healthy lifestyle? Either way- This gadget is for you! Here's the secret to mindful eating, focusing attention on the right size of portions. 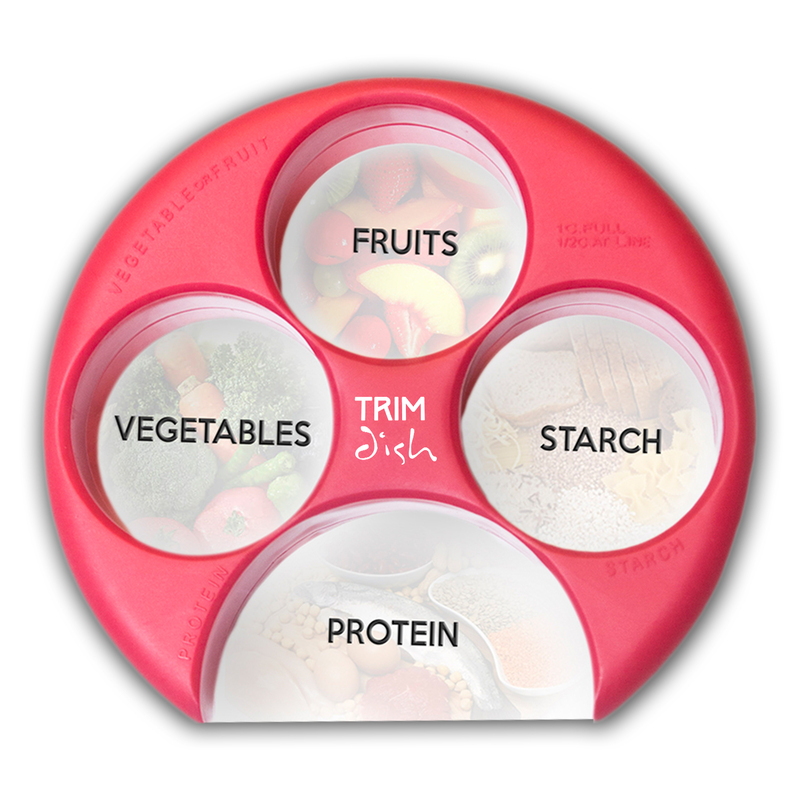 TrimDish portion control dish quickly transforms your plate. Perfect way to fix yourself a balanced nutritious plate while monitoring portion sizes. Keeps extra food off your plate, thus extra calories off of your body!! Visually emphasizes to include healthy food options and nutritious portions of protein, fruit, veggies and starches. Wash before use Place TrimDish portion control on your plate. Fill portions of fruits, veggies, starch and protein based on your calorie diet. Lift the TrimDish portion control up and enjoy a healthier food in correct portions. Stock is limited ! Don't miss out on your COMPLETE BUNDLE !100% MONEY BACK Guarantee! I was so excited to get this. I really need to portion control on some of my starchy veggies and meat. Now my veggies,especially salad greens you can't have too much. I try to get a plant based Paleo diet. I do follow 85/15. Occasionally I like pizza(gluten free) or brownies (gluten-free) Being it the holidays I have been really watching my diet more closely than normal. I thought this is nice for some of my dinners that I do eat with the family. I dont eat dinner often either. I do alternating fasting and intermittent. Dinner not always. But when I do I can monitor it with portion control. This especially helpful for those who need to lose some weight and portion control I have found can help. Along with the right types of food. I do not do the starch circular. I opt for a starchy veggie. And lately it has been mostly vegan type eating for me. The circles are a cup to a half cup line. It fills up more than you know. I did salad in two and a apple and a sweet potato. Which will be my lunch tomorrow. Perfect!